Facebook and the Ministry of Justice have been urged to take action after inmates used social media to identify prison officers and post videos of violent threats, bullying and drug use. Footage on one Instagram account shows a bare-chested prisoner brandishing an improvised knife, while another clip features an inmate – apparently high – shaking and dancing uncontrollably as another films and laughs. Asked repeatedly what he is doing, the shaking prisoner can only reply “I don’t know”. It is not clear whether the footage is uploaded directly by prisoners or filmed and sent to contacts on the outside who run the account. 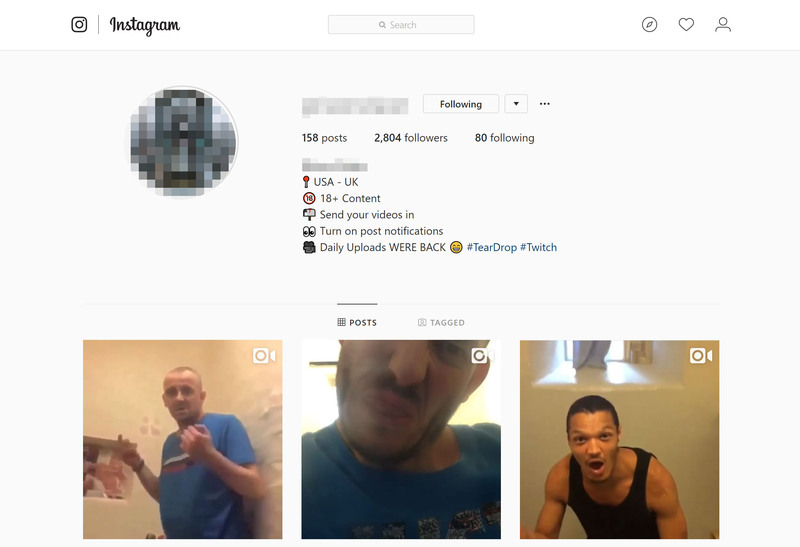 Many videos feature violence against “ketheads” or “smackheads”, and a recent Instagram Story post appears to identify a prison officer’s social media account, showing a screenshot of a different account with the words “SCREW” – a slang term for a guard – pasted over the image. Another post on a separate Facebook page calls on people to “name and shame” the “worst screw” they met while incarcerated. Dozens of comments give the names of the staff members and the prison where they work below. The Facebook page, which has 15,000 followers, posts multiple times a day. Recent videos include one prisoner eating cockroaches in return for a joint of the drug “spice”, and others show alleged drug addicts agreeing to climb into a clothes dryer for the amusement of fellow inmates. Mark Fairhurst, national chair of the POA union for prison officers, said mobile phones cause “misery, violence and deaths” across UK jails which he said are not equipped to deal with the problem. “It doesn’t surprise me there’s an increasing number of mobile phones, weapons and drugs in our jails simply because we haven’t got the resources to stop them coming in,” he added. When it comes to social media use, especially posts identifying prison staff, Mr Fairhurst said “the responsibility lies with Facebook”, which owns Instagram and “shouldn’t allow things like that on their sites”. Facebook has yet to respond to requests for comment, but a public Instagram account appears to have been removed since the social media giant was approached. 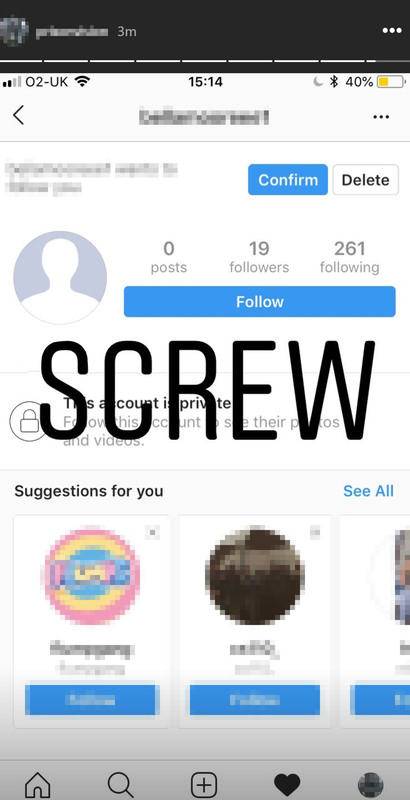 A private Instagram account and the Facebook page remain active. Mr Fairhurst added that staff at the Ministry of Justice should “immediately react” to ensure Facebook removes such material, but ultimately prison staff need the resources to combat such behaviour and “stop it at its source”. Mobile phones can cost “between £1,000 and £2,000” once smuggled into a prison, Mr Fairhurst said, so are largely controlled by “kingpins” who rent them to other prisoners or force younger or weaker inmates to hide them as contraband. “We need searches at the gate similar to what you experience at airports, we need search teams back for random searches in cells and technology in prisons to block mobile phone signals,” he added. 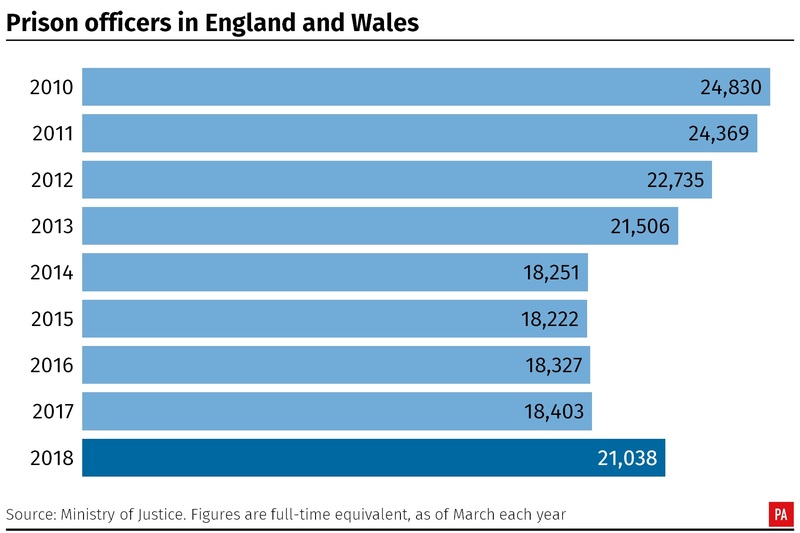 The number of prison officers rose this year, although numbers have not returned to the level of 2010, despite the prison population increasing. The MoJ announced £40 million in new funding packages for prisons over the summer, including £6 million for security measures like scanners and £10 million for the “10 Prisons Project” tackling the UK’s “most challenging” prisons. Last year, £2 million was promised to invest in hand-held mobile phone detectors and “portable detection poles” to find illegal phones.